Updates to Laurie A. 's profile since your last visit are highlighted in yellow. Laurie A. Brose Moe has a birthday today. 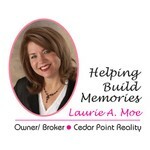 Laurie A. Brose Moe updated profile. View. Laurie A. Brose Moe added a comment on Profile. Besty and me at my son'wedding.